Inis Bernice Egan Hunter was the wife of Howard W. Hunter, fourteenth president of The Church of Jesus Christ of Latter-day Saints. She was born on August 19, 1914, in Thatcher, Utah. A few months after her birth, her father moved the family to central Idaho, where he ran a general store and post office. The family also lived in Soda Springs, Idaho, for a time while he ran a restaurant, and in Richmond, Utah. When Inis was seven years old, the family settled in Highland Park, California. She married Robert Stanton and they had three children. They lived in Alhambra and La Canada, California. They divorced in 1966. Inis loved music and during high school had a lead role in an opera. As an adult she sang with the Pasadena Choral Ensemble and the Southern California Mormon Choir. She was also an award-winning doll hobbyist, making dolls, their clothes, and painting their porcelain faces. I tell them that I lived alone for 22 years, that I know something of what they're feeling. I tell them that what kept me going was the fact that I knew that God loved me, that He was watching over me and knew my every thought, my every need, and that I knew He would provide for me . . .
Sure, I was lonesome, but I read the scriptures and went to the temple every week of my life. Sometimes, I went more than once a week. Prayer kept me going. That, and knowing the Lord loved me. I came to know He was not allowing me to be single to punish me, but He was preparing me for something. I always knew that I wouldn't be left holding the bag, that something was coming to me. I just didn't know what it was. Hunter was serving as President of the Quorum of the Twelve Apostles at the time of his marriage to Inis. He was sustained as president of the Church on June 5, 1994. 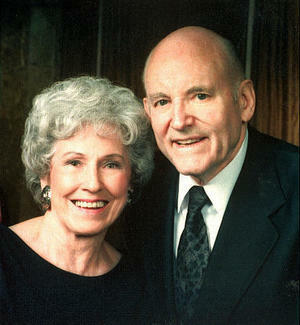 She traveled with him as he fulfilled his church duties and was called upon often to speak to church members worldwide. President Hunter passed away on March 3, 1995. She died on October 14, 2007, in Laguna Hills, California. This page was last edited on 1 February 2017, at 14:05.